Product Consist: Single Stick of Bamboo Plant (Size: 12 inch) in a Slim Bottle along with Mothers Day Greeting Card. Mother's Day is special to all of us, isn't it. All of us look forward to this day to let our mummy dear know how special she is to us. But do you know just how this happen so give a Surprise by gifting her beautiful hamper. 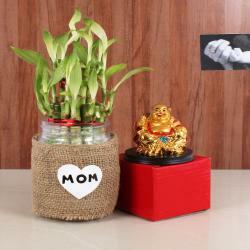 And you can gift Good luck Bamboo plant to your MOM and let her know that how much she is lucky and precious to you. 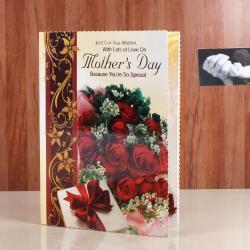 Even you can share your feeling and emotion while sending a beautiful Mothers Day Greeting Card. 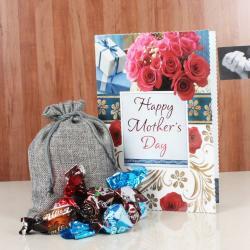 So place your order now while sharing your feeling with mom. 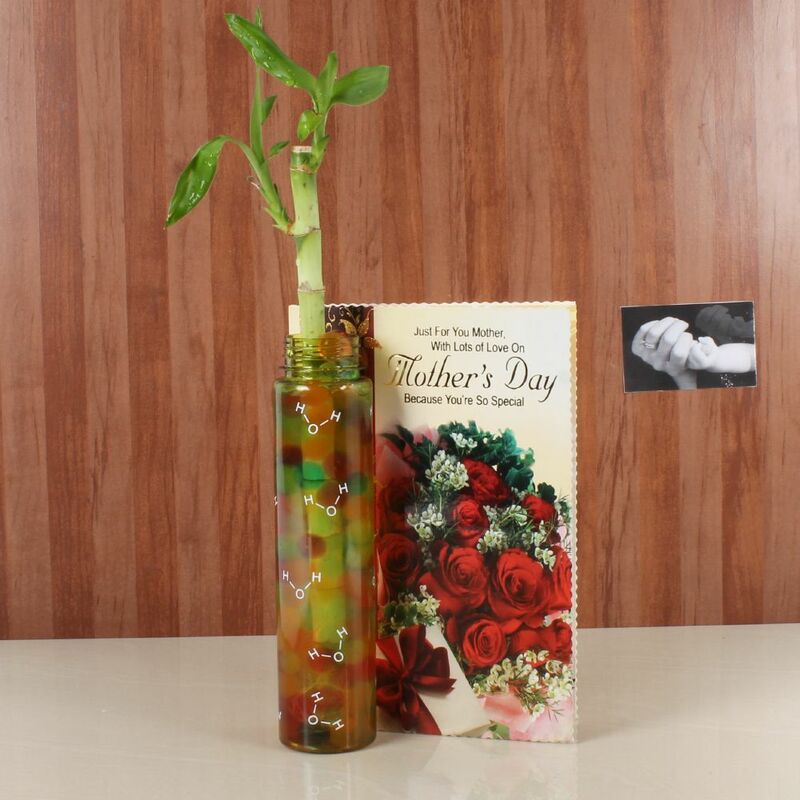 Product Consist: Single Stick of bamboo plant (Size: 12 inch) in a slim Bottle along with Mothers Day Greeting Card.